IDEA - ALM : Batya Temkin - Berman, member of Po'alei Zion - Left and the Jewish underground in the Warsaw ghetto. Batya Temkin - Berman, member of Po'alei Zion - Left and the Jewish underground in the Warsaw (Warszawa) ghetto. Batya Temkin - Berman, born in 1907, ran a network of underground libraries as part of her activities. In September 1942, Batya and her husband, Dr. Adolf - Abraham Berman, went to live on the "Aryan" side of Warsaw. 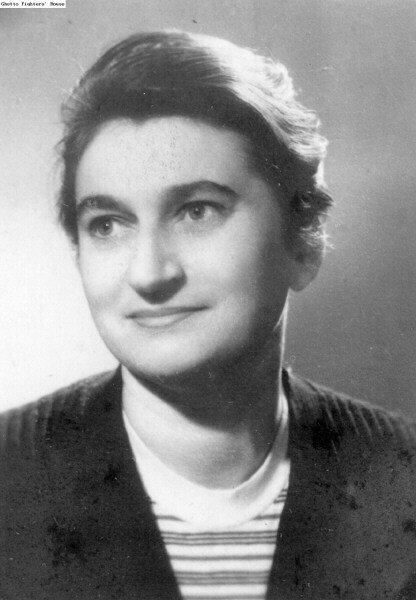 She was among the first activists of the underground Zegota organization [code name for Rada Pomocy Zydom, the Polish "Council for Aid to Jews"].